Online Yoga Class for Busy Moms ~ 75% Off for Readers! Friends! Have you ever wanted to try your hand at yoga?? I know I have! In fact, I have a little brother on an LDS mission, who LOVES yoga. Before he left, he made me promise that I would learn yoga and be able to show him a “sweet yoga move” by the time he gets home. Eeeew! That promise, coupled with the fact that two of my brothers are in film production (they’re amazing) and my blog assistant, Liv, is also a yoga instructor, gave me an AWESOME IDEA! 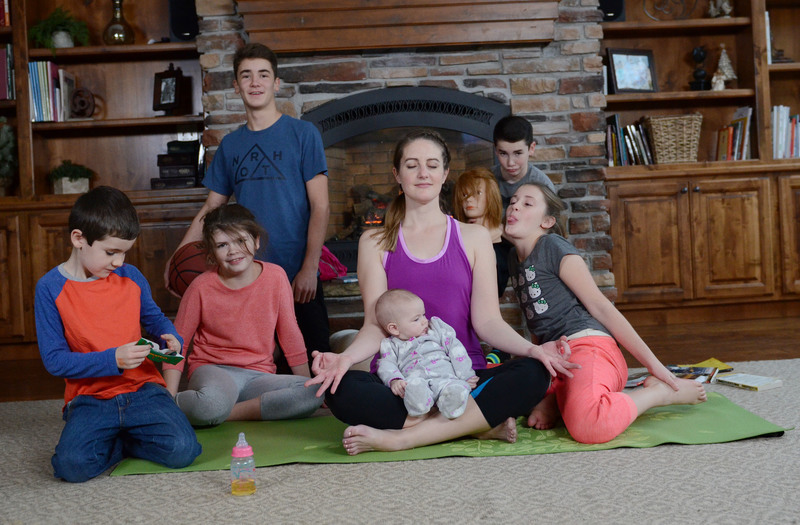 We put our heads together and decided to create an online yoga class for Busy Moms, right in my own home. Liv, a student of yoga since 2002, worked her tail off to create the most perfect set of 30 minute online yoga classes, totally ideal for busy moms! Besides the classes, there is lots of bonus material too, that you will love. 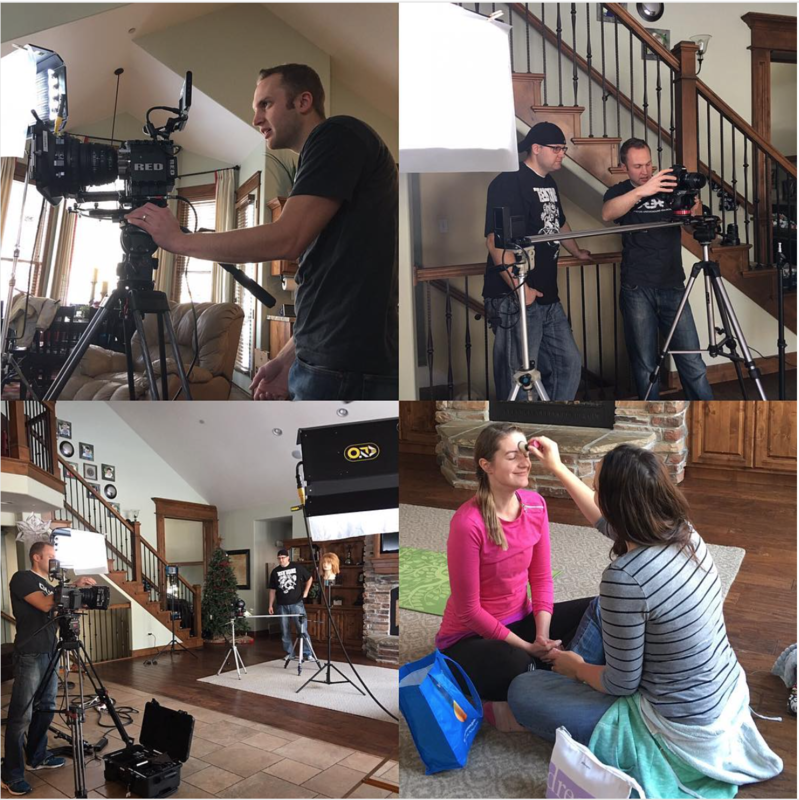 She really did a fantastic job and my brothers worked their magic filming it… they’ve done awesome work for companies and celebrities. I’m lucky to have them! It’s so fun to have some original content provided by ‘Or so she says…’!!!!! Because you’re my favorite and I’m trying to spread awareness of my new online yoga class, I’m giving you all 75% off. Sweet! This class is designed and instructed by Livia Taylor, who has been a student of yoga since 2002. Each 30-minute yoga practice is designed with a different emphasis, ranging from relaxation to complementing your other workouts. If you’re a runner, there’s a class to help open the hips; if you’re a weightlifter, there’s a class to help maintain range of motion and open the shoulders; if you’re looking for a pick-me-up, there’s a class to help you find energy to get through the rest of the day. All classes are suitable for beginners. Since this course is suited to beginner and experienced practitioners alike, not a lot of previous knowledge is required. A yoga mat is must, but other props such as yoga blocks, bolsters and/or straps are optional based on personal strength and flexibility. Levels will be offered in the practice to suit a variety of skill levels. Yoga is best practiced while barefoot, wearing comfortable, well-fitting clothing that won’t ride up or get in the way of movement and balance. Feel an improved awareness of their body and its needs. If you’re involved in other, regular workouts, it is our aim that you will feel your yoga practice complements it and helps you improve and meet your goals. Our more gentle practices are intended to help calm your mind and help you recover from a busy day, or prepare for the one ahead. Overall, yoga is intended to yoke the mind and body and help those systems work better together. It can offer improved clarity, strength, balance, and flexibility. Anyone who thinks they’re too busy for yoga! 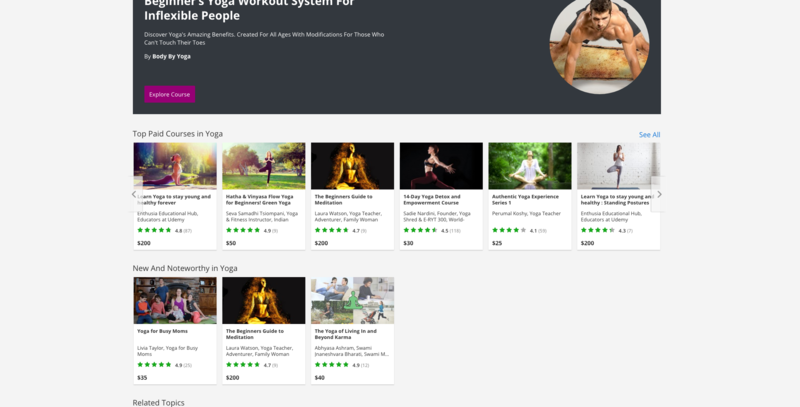 This online yoga class is designed to show that with just 30 minutes at home, you can find time to listen to your body and give it the workout, stretching and quiet time it needs. I hope you love it! We’re hoping to create more original content to share with you soon! It should be interesting to see how everything goes. I have seen a lot of online learning opportunities and this looks like a good one.